Geraldine Womack Sloan, 93 of Goldston passed away Monday morning, January 21, 2019. Funeral services will be held at 2:00pm Thursday at Rogers Pickard Funeral Home Chapel. Burial will follow at Moore Union Christian Church Cemetery. 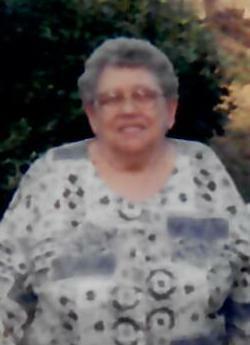 Mrs. Sloan was born in Lee Co, daughter of the late Evie C. Womack and Elfie Evelina Smith Womack. She was preceded in death by her husband, James A. Sloan Sr, a son, James A Sloan Jr and a daughter, Judy Sloan and a grandson Billy Sloan..Mrs. Sloan is survived by a daughter, Donna Mabe and husband Sam of Sanford; a son, Bobby Sloan and wife Carol of Goldston; grandchildren, Bobby Sloan Jr, Brian Sloan, Tamra Sloan, Nick Mabe, Karen McNeil, Renee Price, Johnny Strickland, Teresa Sheffield, and Sonya Ratz; great grandchildren, Crystal Lynn Mabe, Tyler Perdue, Samantha Mabe, Nick Mabe Jr, Kacey McNeil, Karly McNeil, Clinton Sloan, Cody Sloan, Payton Sloan, Billy Ashworth, Michelle Ratz, Cassie Graham, Tiffany Sloan, Justin Sheffield, Kelly Sheffield, Megan Larue and Angela Sloan;12 great-great grandchildren. The family will receive friends from 6-8pm Wednesday at Rogers Pickard Funeral Home. Memorial contributions can be made to Community Home Care & Hospice, 1836 Doctors Dr, Sanford, NC 27330.